Box Components and UCI have reached an agreement by which Box becomes an Official Supplier of the UCI BMX World Championships and UCI BMX Supercross World Cup for the 2017 and 2018 seasons. 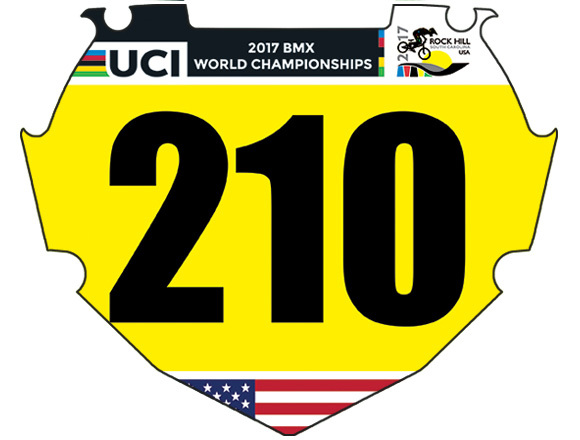 Box has supplied the UCI with number plates since 2015 for all the athletes participating in these events, and in 2017 the relationship has been formalized to acknowledge Box’s contribution to the discipline. The 2017 UCI BMX World Championships will be held at the Novant Health BMX Supercross Track in Rock Hill, SC from July 25th through the 30th. The event will host around 4,000 athletes from all corners of the world. The 2017 UCI BMX Supercross World Cup consists of three events: Papendal (Netherlands,May 6-7), Zolder (Belgium, May 13-14), and Santiago del Estero (Argentina, September 16-17). The World Cup events are attended by around 400 elite athletes. Kevin MacCuish, UCI BMX Coordinator, said “We are very pleased with the level of support provided by Box for the UCI BMX World Championships and UCI BMX Supercross World Cup.